Waist training or waist cinching has become one of the favorite traditions to get a slim body nowadays. The product was a Europe invention, and later it was spurred with the addition of corset to be worn with the clothing. As a fashion statement, there have been some waistline modifications in the designs when waist trainers grew in popularity. Women have inclined towards wearing waistline trainers in the desire of a youthful hourglass figure. Shape wears are still fashionable today giving women their desired figure by burning extra calories from the waistline. However, selecting a waist trainer that is best for your goals is a task with so many brands available in the market. Luxx health Luxx curves waist trainer in this regard is one of the best waist trainers among the traditional brands. The product is thicker and stronger with its excellent latex and cotton layers allowing you a range of flexible motions during your workouts. Previously called curvalicious, Luxx health Luxx curves have been re-branded and have an aim to facilitate its buyers in obtaining a perfect waist shape. Luxx health Luxx curves waist liner ensures to trim your muscle in a right way by keeping them in place and rebuilding their strength. The waist liners are made of 3 adjustable clasps and ten flexible steel bones to squeeze your curves into the desired hourglass shape. With a healthy diet plan, this corset can be a permanent solution for you to lose inches from waistline instantly. The thermal action of the product stimulates fat burning and eliminates toxin from the body. The manufacturers make sure that you wear shapewear that suits your waistline by sending you the product after receiving your size inquiries. The company offers free size evaluation to its customers to make their waist training journey easier. If you have concerns regarding what size will suit your waistline, Luxx health Luxx curves waist trainer is there to help you with that. Lux health trainers send you to personalize sizing recommendation to determine you the most suitable shapewear for your body. Moreover, wearing Luxx curves trainer helps your lower abdomen lose pelvic pudge - especially if you are trying to lose postpartum belly fat. The waist trainer is a perfect fit for the women and men with its 100% inner cotton layer that ensures to provide maximum comfort. Besides this, consternated buyers, especially when it comes to skin health, the Luxx curve trainer is an absolute solution for them as the product does not cause any skin irritation and clinically certified. Not only does this fantastic product help in shaping your waistline, but Luxx health curves waist trainer also entails some therapeutic features as well. People who are suffering from diastalsis recti- a condition of roughly 2.7 cm gap between the sides of rectus abdominal muscles, created due to stretched linea alba. The product provides a next level training due to its higher elasticity that helps your spin in attaining an elongated position to reduce the gap between abdominal muscles. In the countable sense of terms, the shapewear has an excellent maintenance mode to help you accomplish your weight goal. Mostly, the quality is invincible when it comes to the material of the waist trainer. The shaper has three thick layers that add up to more comfort and adjustability.It has an attached boning which is extra thick with doubled lined Latex and cotton to make bones sturdy. The company offers a money-back guarantee if buyers do not find the product comfortable enough. With this capacity, Luxx curves waist trainer is undeniably a product to help you attain and maintain a perfect posture. The product aligns your spine with its vertical flex-steel rods which also reduces the back pain that is typically caused by an incessant poor balance and position of the body. Last but not the least, when you talk about transparency, Luxx health waist, unlike other companies ensures to retain the authenticity of its products. The company takes the customer satisfaction into account by providing different platforms to access them. Luxx Health waist trainer has gained popularity, especially among the new moms. 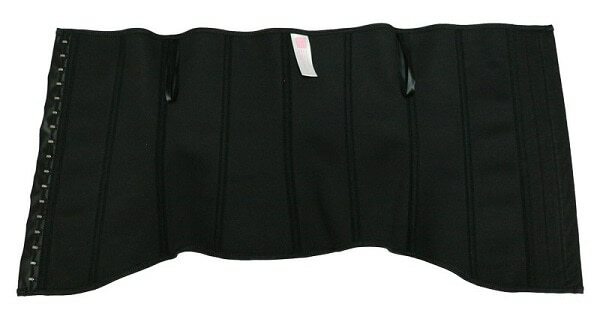 The product has a striking effect as a waist clincher to reduce the extended organs and reshape the stomach muscles after pregnancy. Moreover, many buyers have reported a quick bounce back in their waistlines upon using the product for just a few weeks. Hence, the comfortable three-layered material of Luxx health material is sufficient enough to shape your waist in no time. Some buyers have complained about receiving the wrong product. There have been complaints regarding the low quality by the same buyers. However, based on this, Luxx Company endeavors its best to provide satisfactory customer service by dealing with them directly and ensures correct delivery. On the other hand, buyers are delighted with the product as it does not only accentuate their curves but is cost-effective as well. If you are interested in buying, the product is available on Amazon under $64 only. To crown it all, Luxx Health curves waist trainer is a revolutionary product with fantastic features. The product works for both men and women. Upon using the product, buyers are happy how it incorporates multiple qualities of sleek design; adjustable claps; comfy material and size varieties that help them get their desired waistline. Thus, these specific features make Luxx health curves a smart choice to seek.